How do cells assemble chromosomal structures? Ashley Janna is the recipient of the OISB summer fellowship awarded to a 3rd year TMM undergraduate performing independent research in systems biology. 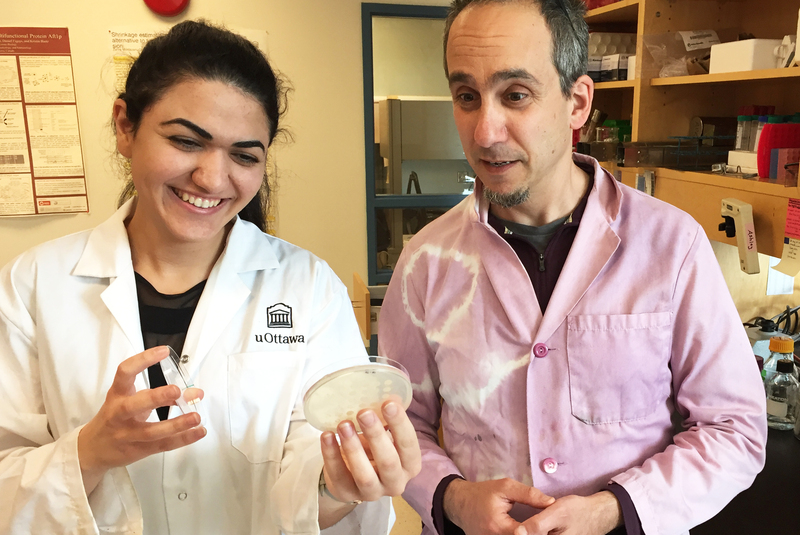 This summer, Ashley will be working in Dr. Adam Rudner’s laboratory, and she will continue this work for her 4th year Honours research project. Ashley will be investigating the mechanism by which cells assemble heterochromatin, an important and abundant chromosomal structure. Heterochromatin is a compact DNA structure found at centromeres, telomeres, and the rDNA. It can also be formed at developmental loci, as cells specify their fate. As heterochromatin plays a crucial role in the maintenance of chromosomal integrity and regulation of gene expression, its mis-regulation is associated with ageing, metabolic disorders, infection and cancer. This study will be performed using Saccharomyces cerevisiae, also known as budding yeast – a powerful model organism. In budding yeast, heterochromatin is assembled and maintained by a complex of silent information regulator (Sir) proteins, named the SIR complex, the central component of which is the Sir3 protein. Current models of heterochromatin assembly propose that the SIR complex spreads from a point of nucleation by an iterative cycle of changes in histone post-translational modification (PTM) and recruitment of additional SIR complexes. Work from the Rudner Lab suggests a second model, in which spreading of Sir3 occurs independently of the PTM state of the histones and of the other SIR complex proteins. This project aims to study this new model, by examining a yeast mutant that alters histone PTMs and separates Sir3 spreading from the recruitment of other SIR complex proteins. This project is an example of how using detailed genetic analysis in a simple organism can uncover novel pathways and mechanisms that regulate cellular processes. Such work drives innovation in biomedical research by uncovering fundamental mechanisms in cell biology and suggesting pathways that can be targeted by novel therapies.